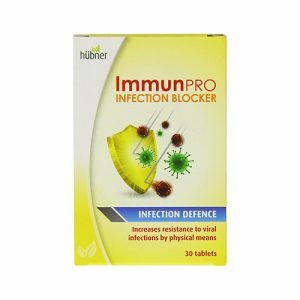 Contains Manuka Honey (known for its health-giving properties) helping you win the fight with all types of coughs. Powerful action soothes the upper respiratory tract. Otosan Fortuss Cough Syrup contains Manuka Honey (known for its health-giving properties) helping you win the fight with all types of coughs. Its powerful action soothes the upper respiratory tract; while providing hydration of the mucus glands; encouraging the natural discharge of mucus. 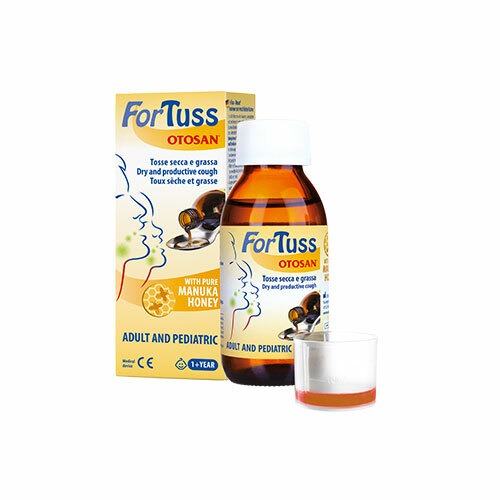 Otosan ForTuss Cough Syrup provides protection, counteracts irritation and hydrates the oropharyngeal mucosa; especially from irritating factors caused by external agents (pathogenic agents, cold weather, pollution, dust). Rich in natural, active substances working in synergy; a protective layer is created on the mucosa; ensuring hydration and counteracting irritation. Provide hydration of mucusand its natural discharge. Help protect and soothe the pharynx, calming cough symptoms both day and night. Its delicate formula has a pleasant taste and is suitable for adults and children aged over 1 year old. 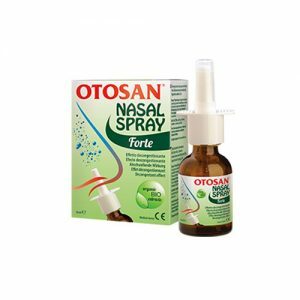 Otosan ForTuss Cough Syrup is suitable for people with coealiac disease. ForTuss does not contain alcohol or artificial coloring’s.